1.4PCS of adjustable treatment panels. 3.Faster and better result than LED machines. 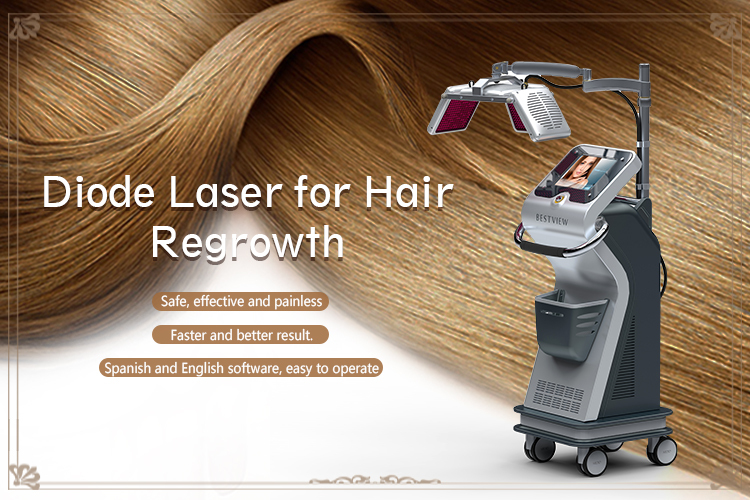 4.More laser lamps(240 pcs) than other hair regrowth machines. 5.Easy to use, no need of professional personnel. 6.Lower than 1‰ maintenance and much longer life time. 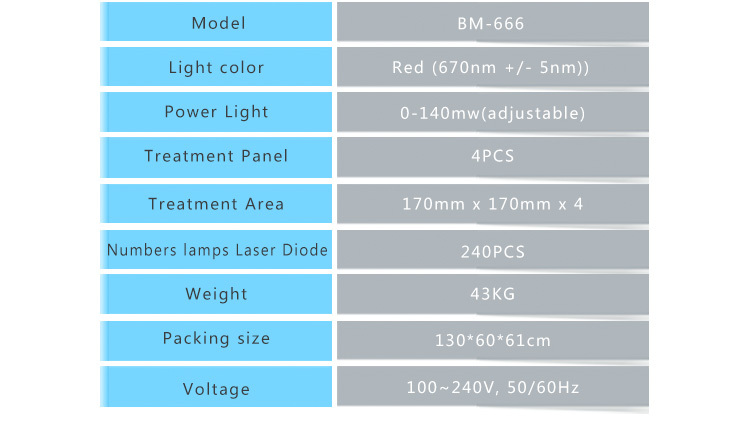 In 1964, a famous professor found that the laser diode (also called laser of low level) can penetrate the surface of the skin without heating effect, no skin damage and no negative side effects to accelerate hair growth and thickening of hair in the treated areas.Visible and monochrome laser creates mid-power 670nm 0.12 to 0.36 J / cm2. This power is perfect for promoting a healthyhair follicle. By providing important nutrients into the follicle, such as ATP, while are carried the harmful waste such as DHT. ATP increases cellular metabolism and cell activity. Then the hair follicle has the building blocks and transform energy from a weakened follicle to produce a beautiful and healthy hair. 2.Safe, effective and painless procedure. 3.Four pieces of adjustable treatment panels. 4. Easy to use, no need of professional personnel. 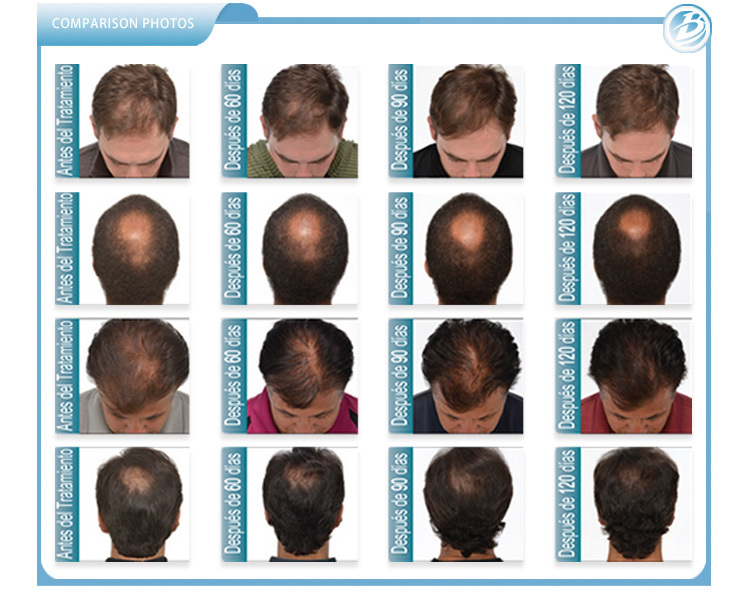 5.More laser lamps(240 pcs)than other hair regrowth machines. 6.No heating effect,no damage to the skin and no negative side effects.